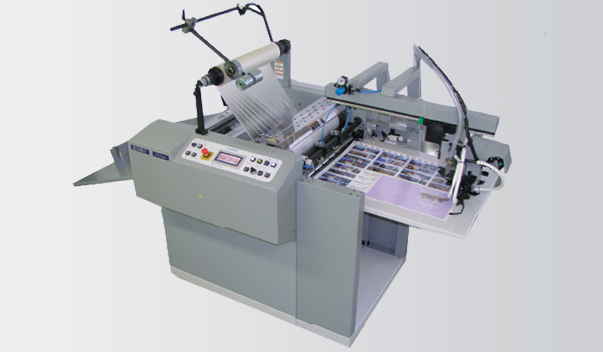 Compact automated laminator designed for lamination of smaller and middle-sized orders up to B2 format printed using offset and digital techniques. • Automatic feeding head driven by servo-motor. • Laminating roll temperature is controlled by advanced regulation. • Pressure cooling of pressure roll. • Film unwinding with side regulation, mechanical brake and steel distribution roll. • The sheet separation is ensured by means of snapping roll. Its function is supported by film perforation and skewing wheel, which are part of supply. • The perforator is located behind the pull rolls. • Sheet stacking onto fixed unloading table with adjustable stops or onto jogging table.